Cavities are one of the most common dental issues affecting children and adults alike. At Richard Hardt, D.D.S. in Porterville, California, you receive comprehensive cavity care, including fillings and crowns, to prevent pain and infection. Dr. Richard Hardt, DDS, and Dr. Lawryn Monterroso, DDS, also specialize in cavity prevention techniques, such as sealants, to protect your teeth for the long term. Schedule an evaluation online or by phone today to learn more about cavity prevention. Cavities are the result of decay in your teeth due to sticky plaque bacteria that forms on your teeth. When you eat sugary foods and don’t properly clean your teeth, bacteria hang around, producing acids that damage the enamel of your teeth. Over time, this damage may form cavities, little holes in your teeth that cause pain, as well as other dental complications that may even lead to tooth loss. When cavities remain untreated and grow larger, your symptoms might worsen and eventually develop into a painful infection. Dr. Hardt and Dr. Monterroso offer several options for repairing cavities, depending on their severity. For minor cavities, you may benefit from a filling, a dental-safe material that fills in the cavity hole in your tooth, providing additional strength to your tooth’s structure. After a filling, Dr. Hardt or Dr. Monterroso may recommend a fluoride treatment to restore the enamel of your tooth and prevent future cavities from forming. For more serious cavities, you may need a root canal and a crown. Dr. Hardt and Dr. Monterroso often turn to this treatment if your tooth suffers damage due to extensive decay, but the tooth can still be saved. A custom-fitted crown goes over your natural tooth after the root canal, protecting it from new decay. The crown functions as your other teeth do when eating and drinking. If a tooth is severely decayed, Dr. Hardt and Dr. Monterroso may determine the only treatment option is an extraction where they remove the tooth permanently. As part of practicing good dental hygiene, you should brush your teeth after every meal to prevent plaque from causing cavities. You should also rinse your mouth daily with a fluoride mouthwash Dr. Hardt or Dr. Monterroso recommends. If your teeth are more susceptible to cavities due to other dental issues, such as soft teeth, you may benefit from dental sealants that protect the chewing surface of your back teeth. These coverings prevent the trapping of food particles and bacteria in your teeth. The most important part of good oral hygiene is having regularly scheduled dental cleanings at Richard Hardt, D.D.S. Routine cleanings every six months ensure your teeth and gums are healthy and free of cavity-causing plaque. 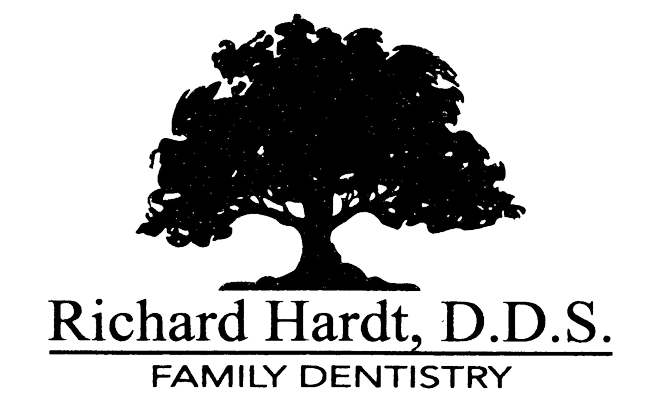 Learn more about cavity prevention at Richard Hardt, D.D.S. in Porterville, California, by scheduling an appointment online or by phone today.